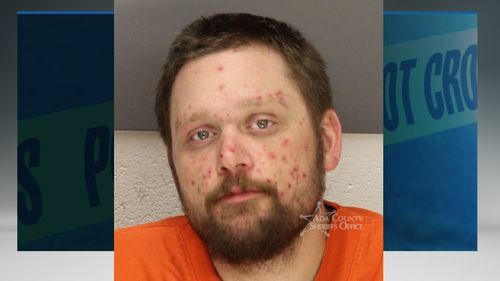 Meridian Deputy Police Chief Tracy Basterrechea said Bondsmen were attempting to apprehend a 30-year-old Meridian man when he ran inside his home. MERIDIAN - Several streets in the Red Feather subdivision were blocked off Wednesday afternoon after a wanted man barricaded himself inside his home. Meridian Deputy Police Chief Tracy Basterrechea said bondsmen were attempting to serve a warrant for failure to appear in court on Daniel Norris, 30, of Meridian. That's when he ran inside his home, located on Spearfish Drive. About two hours after the standoff began, Norris walked out of the home freely and was arrested. Norris' girlfriend and a child were also in the home, police said, but they were OK. Earlier, police believed that there there may have been a firearm involved. No shots were believed to have been fired. Norris had just moved into the home, Basterrechea said.